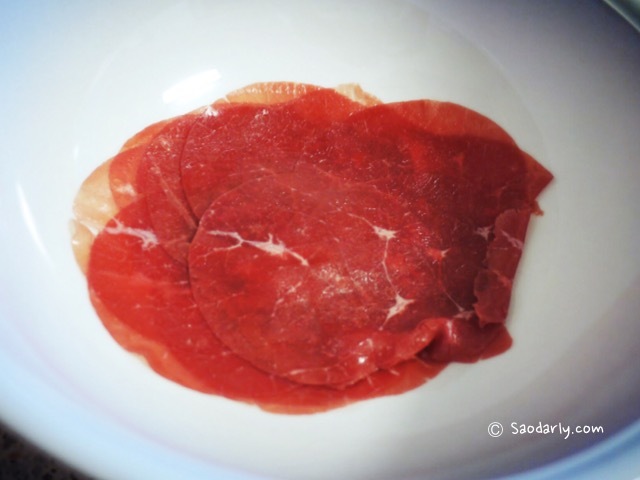 I’ve seen Carpaccio (a dish of raw meat or fish such as beef, veal, venison, salmon or tuna) on menu at restaurant, which is made up of very thinly sliced raw beef meat served with some sort of vinaigrette dressing, Parmesan cheese and rucola vegetable. 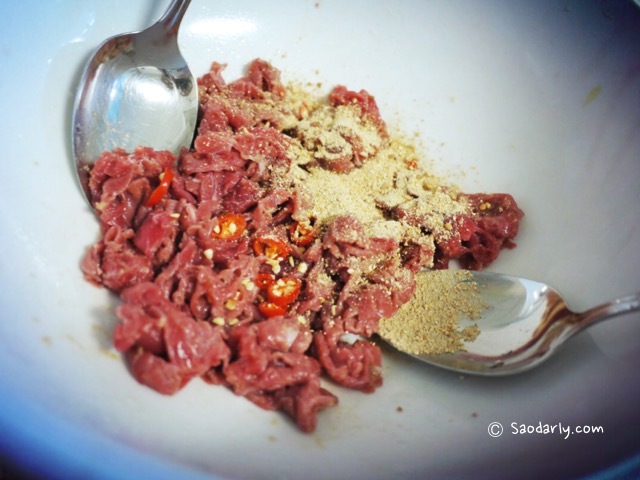 I was curious of how Spicy Beef Carpaccio (Larb Sien using Beef Carpaccio) would taste and bought a few pieces of the raw beef to test it for dinner. 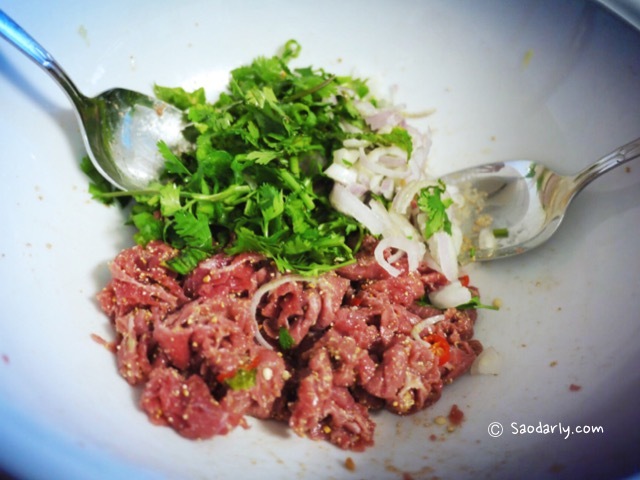 I marinated the beef carpaccio in lime juice for a few minutes, then added fish sauce, Maldon Sea Salt, chopped chili pepper, ground roasted sticky rice, sliced shallot, mint, green onion, and coriander (cilantro). 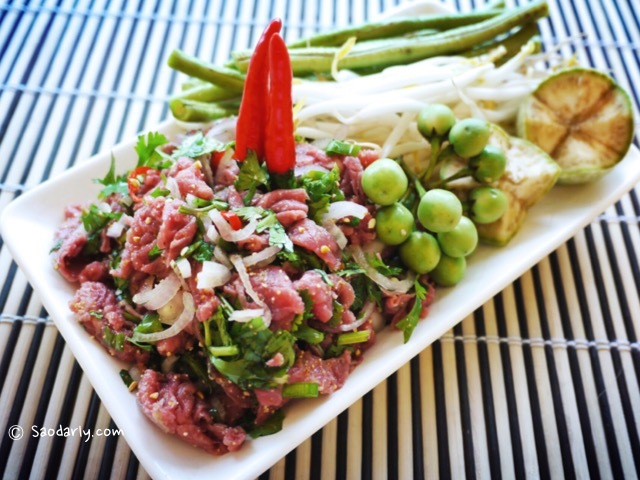 The last step is to gently mix all the ingredients together before serving with vegetables on the side. It was a quick and simple meal, not to mention quite freaking delicious. 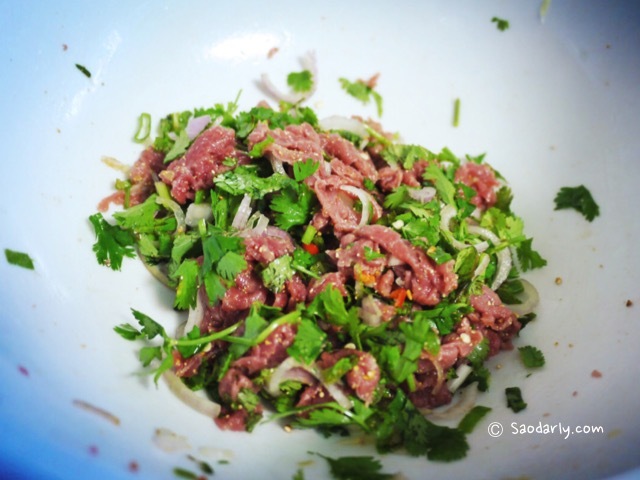 The next time I make Larb Sien using Carpaccio beef meat, I’ll additional herbs like lemongrass and Laos galangal to the dish.